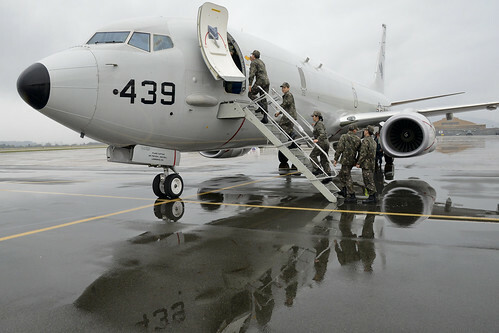 SEOUL - The U.S. Navy's P-8A Poseidon maritime patrol aircraft conducted its first training missions in the Republic of Korea (ROK) March 27-31 in support of exercise Foal Eagle 2014. During the combined U.S. and ROK armed forces training events, flight crewmembers from Patrol Squadron (VP) 16 operated with P-3 Orion maritime patrol crews from the ROK navy. 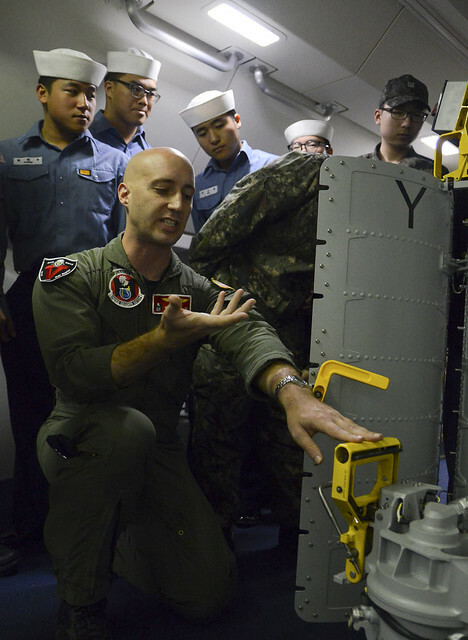 The exercise gave the pilots, mission planners, and flight crews from both the U.S. and ROK navies the opportunity to train together and exchange ideas and concepts. "This was a great opportunity to strengthen relationships and show what operational capabilities this aircraft brings to the Pacific and to our allies," said Lt. Cmdr. Dwight Brungard, the P-8 mission commander. "Everyone was discussing the similarities and differences between the P-8 and the P-3 and how we can operate efficiently in the operational environment. It's so important for us to understand each other and continue to work seamlessly together." Exercise Foal Eagle in an umbrella of regularly scheduled, annual exercises between U.S. and ROK armed forces. The naval portion of these bi-lateral exercises test skills in a variety of warfare disciplines including maritime patrol. 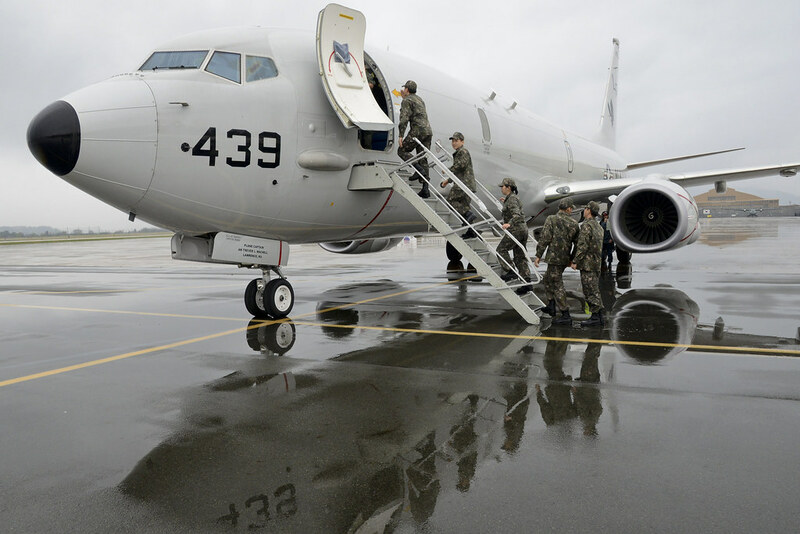 "We are excited to have the P-8A Poseidon performing its first missions in Korea as a part of Foal Eagle 2014," said Rear Adm. Lisa Franchetti, commander, U.S. Naval Forces Korea. "The presence of this modern and dynamic aircraft operating with our Korean counterparts further demonstrates the U.S. Navy's commitment to our alliance with the Republic of Korea and represents the physical manifestations of our rebalance to the Pacific." The P-8A Poseidon is designed with the latest avionics and onboard systems making it one of the most advanced anti-submarine and anti-surface warfare aircraft in the world. 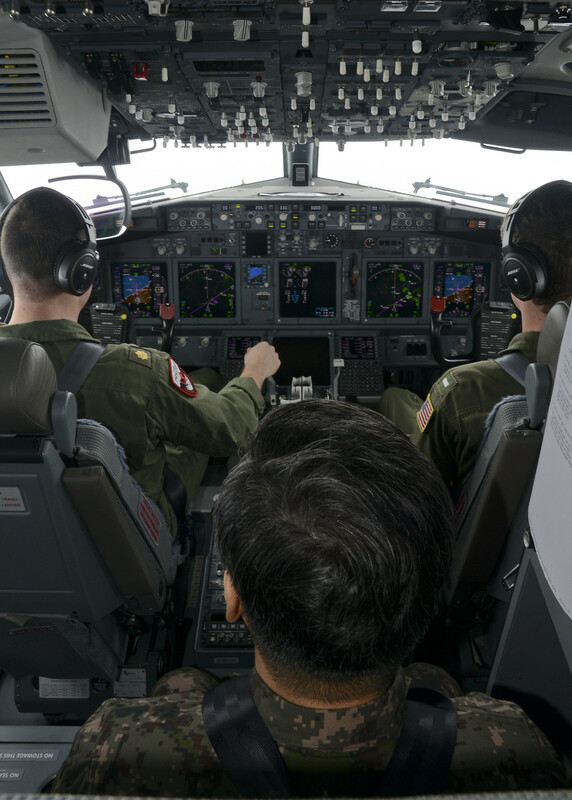 Six P-8A aircraft are currently deployed in support of the U.S. 7th Fleet conducting maritime stability, patrol, and search operations throughout the Indo-Asia-Pacific.